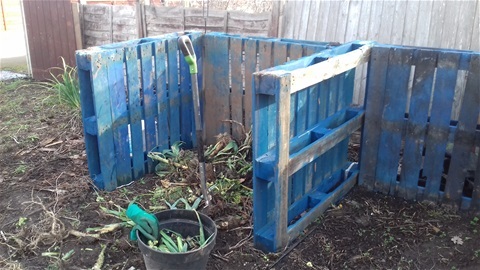 A Powerpoint presentation has been prepared to help Garden Clubs, Allotment Societies and schools promote composting as part of Compost Awareness Week. This provides basic information so that members can start composting their kitchen and garden waste and reduce the waste sent to landfill. The initial slides give details of the waste produced by households in England and the proportion that could be composted. The Composting Demonstration site at Stokes Wood Allotments Leicester has started operations using garden waste from plot holders and the cooked food from the breakfast club. Over the next few weeks it is hoped to get most of the bins operational so that there will be compost in various stages of preparation for the 5th May Opening Event. 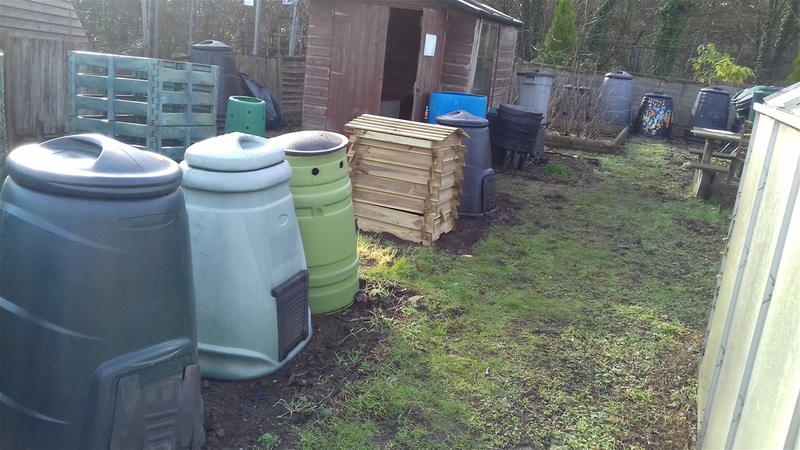 The next stage is to seek donations of more bins so that we will have a wide range on display and start the Composting and Plant liquid feed areas. If anyone is interested in joining the project please email carryoncomposting1@gmail.com. Ideally the volunteers will be Master Composters but enquiries from all of those interested in helping would be welcomed. 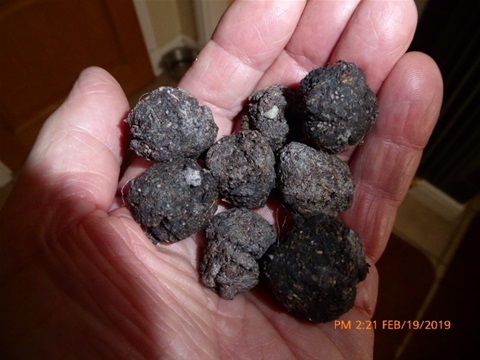 The conventional Speedball is made by rolling the seeds in a ball of compost which is coated with a layer of wet with the compost and clay acting as a carrier for the seeds so they can be thrown into inaccessible areas. Each seed ball provides the seed(s) with a mini ecosystem. However, as this technique will normally require the purchase of clay, we use an alternative suitable using flour instead of clay. The completed balls are then placed, or more often thrown into the garden or ground, where it is hoped the plants will grow. dissolve. I normally make speedballs in groups of 16 – 20 children with each child making three balls if they are paying to participate and making the bombs to take away at the end of the session. However, if the plan is to seed bomb a school garden each student may only make one bomb and the bombing can take place in small teams with each team bombing a marked off section of the garden. When the seeds have germinated the students can see how effective they have been in covering the whole of the target area. We started three of the bins, a Hotbin and 220 litre and 330 litre bins, available from Get Composting under the Leicestershire and Leicester City Council scheme, this morning using spout stalks and leeks left in one of the Reception bins (photo) by plot-holders together with a little catering waste from the café. 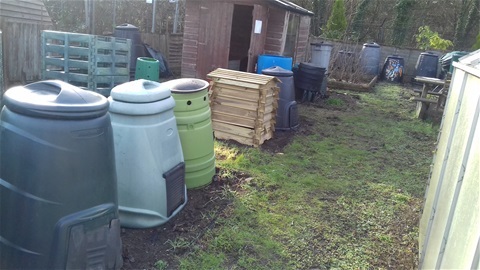 We still have more bins to add to the site in the months before it is officially opened as part of Compost Awareness Week.